Netflix is about to get supercharged with superheroes. Slash Film reports Marvel’s The Defenders will begin filming later this year. The Defenders comprises all four of Netflix’s Marvel series: Daredevil, Jessica Jones, Luke Cage, and Iron Fist. While no other details about The Defenders have been released, Netflix has announced that Luke Cage will premiere on September 30th. What do you think? Are you a fan of Netflix’s Marvel series? Are you looking forward to The Defenders? 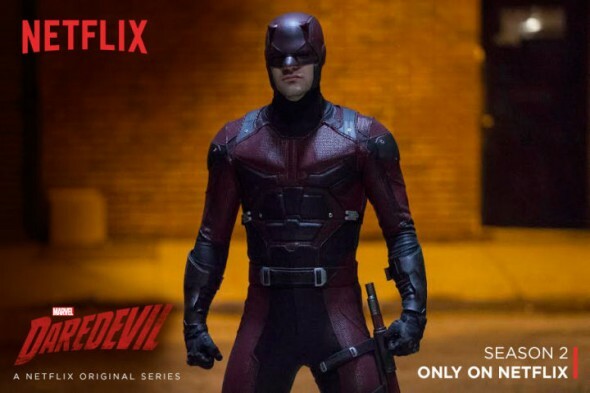 More about: Marvel's Daredevil, Marvel's Daredevil: canceled or renewed?, Marvel's Iron Fist, Marvel's Iron Fist: canceled or renewed?, Marvel's Jessica Jones, Marvel's Jessica Jones: canceled or renewed?, Marvel's Luke Cage, Marvel's Luke Cage: canceled or renewed?, Marvel's The Defenders, Marvel's The Defenders: canceled or renewed?, Netflix TV shows: canceled or renewed? Daredevil, Luke Cage, Jessica Jones: Will Netflix Lose the Marvel TV Shows to a Disney Service? Marvel’s Luke Cage, Jessica Jones: Netflix Teases November Arrival?